The City of Niles Utilities Department trims trees each year to reduce the possibility of your lights going out during significant weather. Storms, wind, rain, ice & snow can affect your ability to receive electricity from us. Our crews respond immediately to downed power lines. But we also remain proactive to ensure you receive the utility services you need. We trim the trees, and in some cases remove trees that may hamper your ability to receive power. Tree trimming is an integral part of keeping the lights on for you and your neighbors. We notify all adjacent property owners of our intended work and provide door hangers outlining the tree trimming and tree removal plans that may affect you. Most of our customers receive a personal phone call or an in-person meeting prior to the work taking place in front of their property. All tree removals being performed in the city boulevard (the area between the sidewalk and your street) will have the wood hauled and the stumps ground. Wood is hauled away fairly soon after the tree has been removed. Grinding the stump that is left will occur later in either late fall or early winter as weather and time permits. We do replant boulevard trees. We never replant trees under electric lines. Any tree work on private property has been discussed with each individual property owner prior to the work being done. The tree wood will be left on site for projects completed on private properties. We hire a private contractor to remove or trim trees and oversee the tree maintenance program. Contracted workers cannot and do not give permission to anyone to remove cut wood from any work location. Permission to take or remove wood can only be given by the Niles Utilities Department directly. If you have questions about tree trimming or removal, dial 269-683-4700 ext. 1321. Leave a message. Messages are automatically forwarded to the contractor who will respond to residents promptly. 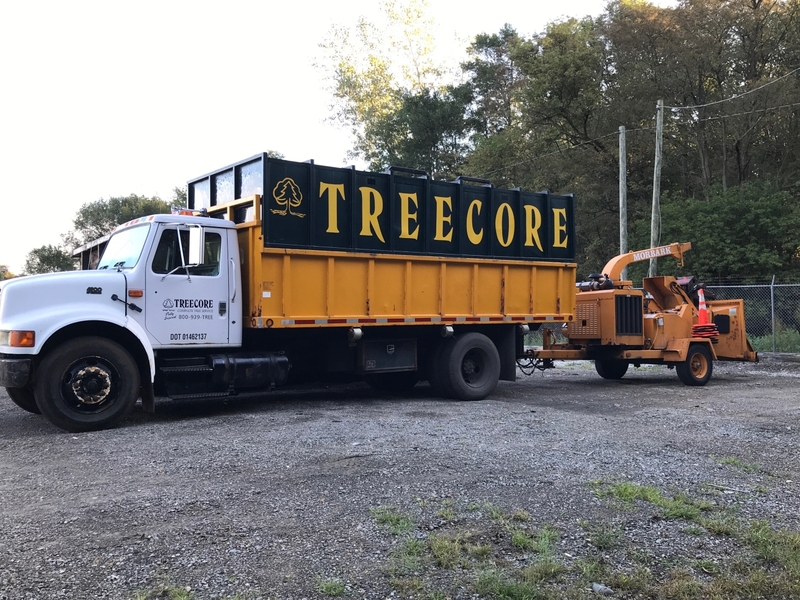 Our contractor is very knowledgeable about the process and can answer any questions you may have about the tree trimming or removal process. Don't Be Confused The Utilities Department's annual Tree Trimming & Removal program is not the same as the Public Works Department's annual Tree & Stump Removal program. The Tree & Stump Removal program is for Dead, Dying and Diseased trees on the boulevard or on City owned properties.